P.S. 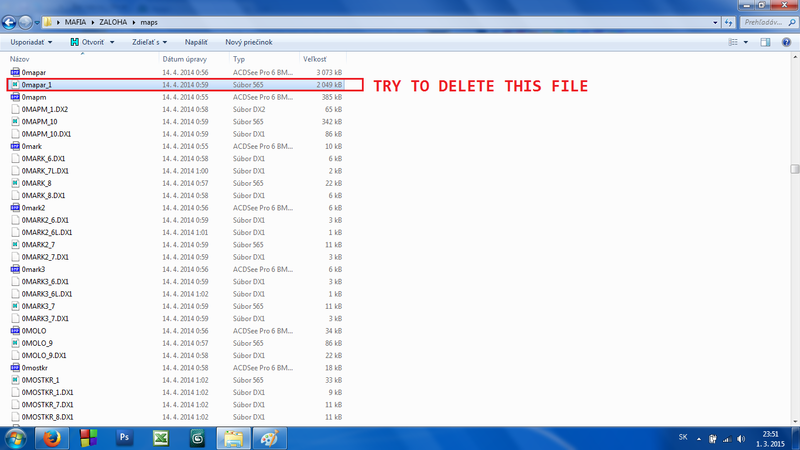 You must delete this file after every modification of map, bacause game engine after every launch creates this file. Delete "0mapar_1.565" file and copy your "0mapar.bmp" file into the maps folder with "0mapar_1.565" name. ( check that extension is 565 ) Start the game and the engine will create the corrected 0mapar_1.565 from yours. If you see again the 565 file now altered its volume than your bmp was. Yes, I have RW_DATA.dll patched and I already have a lot of textures changed and they are working just fine. I want to change the map too, but it isn't working. I tried all of the things you wrote up there but even when there isn't 0mapar and 0mapar_1.565 present in Mafia's folder, it still loads the default map somehow (I expected crashing). When I gave a Ikarus mod's 0mapar_1.565 in my Mafia's folder , but had 0mapar still default, it showed Ikarus mod's map. I think 0mapar is just there to "fill the space", because the map showed in-game is 0mapar_1.565. But I don't know how to make from 0mapar a 0mapar_1.565. And I can't just copy 0mapar and name it 0mapar_1.565, because .565 is a special format, and not just a name. Okay, send me your map and I'll have a look. I renamed a copy of the modified file, from 0mapar.bmp, to 0mapar_1.565, then also copied it into maps folder. Now i can enjoy the mod that i'm using and see all the new icons that i put on the map !. Now i'm also traslating mods for my nephew, i discover that he is a fan of mafia 1. Thanks for all the good info in this site.